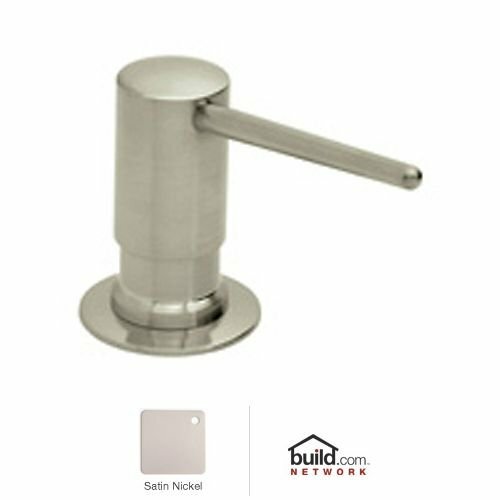 LS750LSTN Finish: Satin Nickel Features: -Extra strong pump for reliable operation. -Dezincificated brass protects against aggressive components in the soap. Product Type: -Soap Dispensers. Material: -Brass. Dimensions: -1.25'' Cutout. Overall Height - Top to Bottom: -2.75". Overall Width - Side to Side: -2". Overall Depth - Front to Back: -5". Spout Height: -2.5".